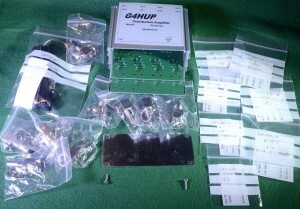 All of the products I provide are either kits, or assembly kits. I do not produce completed equipments. Kits contain all the components and enclosure material, but you do all the work in the assembly, and generally in the preparation of the enclosure too. All of my kits that use conventional through-hole components are only provided as kits. The LC Meter kit does come with a CNC machined front panel, but other drilling work is left to you. 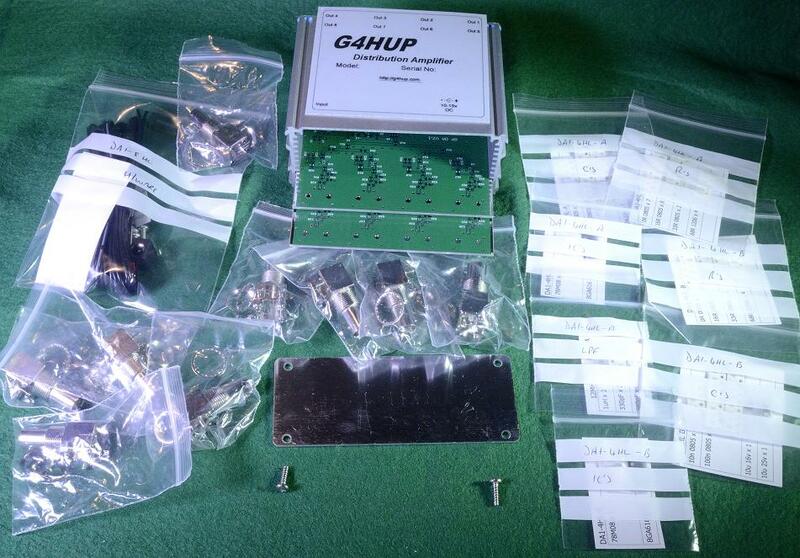 Assembly kits are only available for products using SMD components. As an alternative to mounting each SMD part, I can provide the assembly kit version where all the SMD work is done, and as far as possible, the unit will be tested. 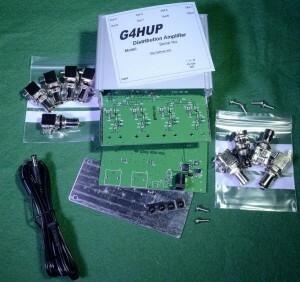 Assembly kit versions are available currently for the Distribution Amplifiers (4 and 8 channel), the E Field Probe, the PA K3 IF Buffer, and the DG8 Masthead pre-amplifier. These final two items are fully RF aligned before they leave me, which is another reason for providing Assembly Kits at this level – you are left to prepare the cases and complete the physical construction. Smaller modules, such as the PAT boards and the Latching Relay Driver boards are also available built ready for you to incorporate them as modules into your equipment.